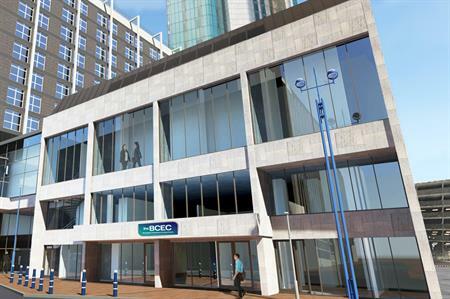 National Express and the National Osteoporosis Society are among the clients that have already booked the new Birmingham Conference & Events Centre (BCEC), which soft launches today. The venue, which officially launches on 3 November, is run by independent hotel and venue company Cairn Group and located just a minute’s walk from Birmingham New Street station. BCEC is comprised of over 2000sqm of dedicated conference and events space. Situated over two floors, it offers 20 meeting rooms accommodating up to 1,450 delegates and six banqueting suites which can accommodate between 30 and 750 guests. The largest of these banqueting suites, The Mercian, offers pre-function space with three bars including a private champagne bar. The suite also houses a stage, spring-loaded dance floor and a heavy-goods access lift and can accommodate up to 1000 delegates theatre style and 750 for a private dinner. The BCEC also has agreements with the nearby Holiday Inn and several other hotels in the city to provide delegates with access to over 2,000 guest rooms.